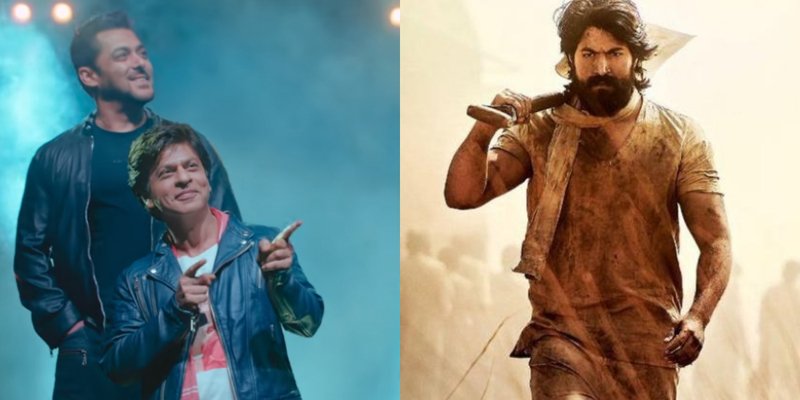 Shah Rukh Khan’s biggest and most anticipated film, Zero and Farhan Akhtar’s KGF, Kolar Gold Fields, will clashing at the Bollywood box office on Christmas. Both movies have received perfect response from fans as Shah Rukh Khan’s Zero trailer launc, recieved 100 Million views on Bollywood Badshah’s birthday. Biggest Kannada film, KGF also made headlines with 6 Million views in less than 24 hours of its first trailer launch this November. Shah Rukh Khan in Aanand L Rai‘s upcoming directorial titled Zero is the talk of the B-Town these days, as Bollywood celebrities welcome first trailer of Badshah’s film first trailer on social media. The film also stars Katrina Kaif and Anushka Sharma in the lead roles. The trailer of film Zero received a lot of positive response from the audience. SRK will be seen as a vertically challenged man named Bauaa Singh, Katrina Kaif will be seen as an actress called Babita Kumari and Anushka Sharma as a scientist, Afiya. Earlier, Makers of Anupam Kher‘s film The Accidental Prime Minister and DC’s Aquaman pushed ahead the release dates giving SRK’s film a solo release on December 21, 2018. Surprisingly Farhan Akhtar’s Excel Entertainment’s Kannada film, Kolar Gold Fields has also announced same day release. Yash and Srinidhi Shetty starer KGF is a period film based on Yash’ character, Rocky’s life and his journey from the streets of Mumbai to the bloody gold mines of Kolar fields in Karnataka. This film is making headlines since the trailer release and Bollywood Tabloids are ranking this movie quite high.